Is the destination or the journey more important when it comes to social impact reporting, asks Alan Kay, coordinator of the UK’s Social Audit Network. The lesson learned from this story being… the journey is as important as the destination. In today’s media parlance – we were on a journey and it was a bit of a rollercoaster but we got through it. I have been involved with social accounting and audit for many years. Working with others, we developed a process to help organisations collect relevant quantitative and qualitative information relating to their central purpose. This happens each year in the same way that financial accounts and “books” are kept. Organisations then bring this information together and report on their performance and on their impact on their stakeholders. The process is internal to the organisation, owned and controlled by the organisation – thereby empowering it to self monitor and self evaluate. At the end of a year the organisation will produce its own social impact report – this is the product. Thus the process can be regarded as the “journey” and the social report is the “destination”. With social accounting and audit there is a wee sting in the tail in that the product is externally verified with an audit – again similar to financial annual accounts. The audit ensures that the final product of the report is valid and a true interpretation of what the organisation has, and has not, achieved during the year. On passing the audit, a statement is issued – no golden fleece I am afraid, just a signed certificate. The process helps them understand more clearly what they do to achieve an overall purpose – it forces them to listen to a wide range of different stakeholders, it can keep them on track, it can help them in explaining more clearly what they do, it can be used in organisational record keeping and learning, it can get people to work together more effectively and so on. There are benefits too from producing a report – the product. It can be summarised and distributed widely to stakeholders and the wider public, it can be used to report back to funders, it can be the basis for future planning, it can track change that an organisation has had to deal with, it can be used, in part, to brief outsiders and so on. The Social Audit Network (SAN) was set up to help third-sector and community organisations to introduce social accounting and audit into their organisations – and to help them with the process of social accounting as well as producing a social report. I fall more into the process camp. For me the final report does have value and I can see the advantages of having the statement endorsing the social accounts. But it is going through the process that can have a more influential effect on the organisation. It can help all parts of an organisation not only to take stock on a regular basis but also to reflect on what the organisation is trying to do and how it is doing that. Now if you are a process-type person, you have to be able to accept that processes can be messy. Through trial and error… and trial again, one learns – and through that learning a deeper understanding begins to emerge. In researching this article I came across a website – Prek and K Sharing, which deals with working with children to create art. They argue that in encouraging art the process of doing is more important than the final product. The process is messy and undefined but it reflects the learning, while the well-structured neat product is more presentable and more accepted. 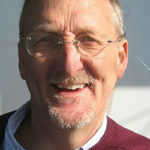 About the author: Alan Kay is a founding board member of the UK’s Social Audit Network a not-for-profit organisation that facilitates the exchange of information and experience between practitioners of social accounting and audit in the social economy and voluntary sectors. Kay has more that 30 years of experience in community development and social enterprise support in the UK and overseas. He co-authored the 2005 Social Accounting and Audit Manuals and more recently wrote the New Guide to Social Accounting and Audit.